'Monstress' and 'My Favorite Thing is Monsters' Win Multiple Categories at 2018 Eisner Awards - Horror News Network - The Horror News You Need! Image Comics’ Monstress won best continuing series, best publication for teens, best painter/multimedia artist, best cover artist, and best writer (actually a tie with Mister Miracle and Batman writer Tom King). 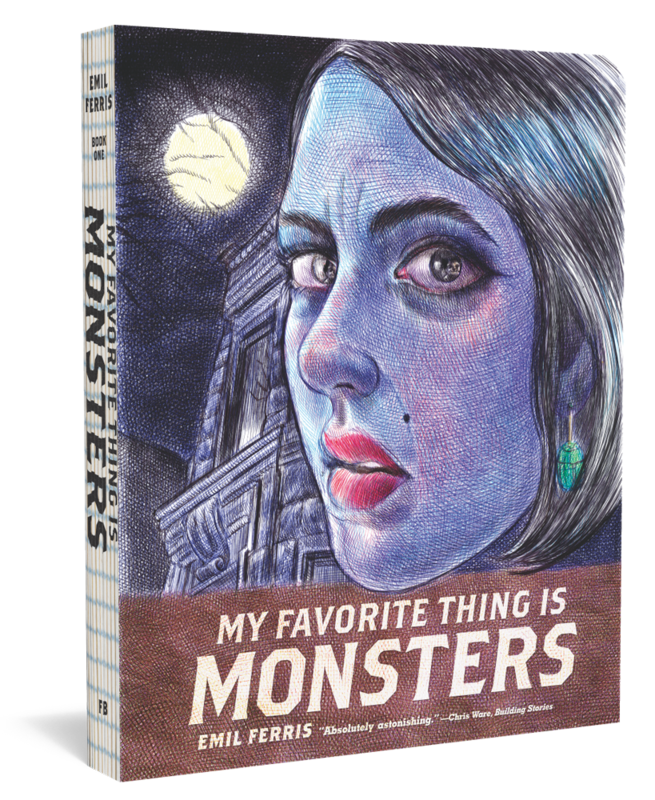 My Favorite Thing is Monsters took best writer/artist, best coloring, and best graphic album (new). Liu and Takeda’s genre-bending story has been a critical favorite for years, exploring the avenues of science fiction, fantasy, horror in a unique and original setting. Neil Gaiman praised the creators (on the back of the first collected edition) saying that “Liu and Takeda take Eastern and Western comics storytelling traditions and styles, and create something wholly their own and remarkable…”. Ferris’ My Favorite Thing is Monsters also plays with genre conventions (particularly the horror genre) to tell a fictionalized tale filled with real life horrors. The illustrated diary style of the graphic novel and the beautiful artwork brought a lot of mainstream attention to Ferris this past year, culminating in her wins at the Eisners. Both Monstress and My Favorite Thing is Monsters are currently available online or at finer comic shops everywhere.